“Recently, U.S. 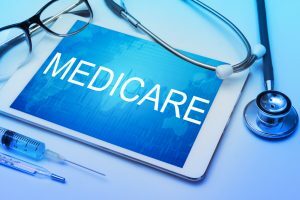 Senators Rob Portman (R-OH) and Bob Casey (D-PA) introduced the Medicare Beneficiary Opioid Addiction Treatment Act (S. 2704), legislation that would break down existing barriers to treatment, by providing coverage for methadone under Medicare Part B and allowing seniors and people with disabilities to receive this important medication in their doctor’s office. Opioid use disorder is a growing problem among older adults and people with disabilities, as nearly 12 million people with Medicare were prescribed opioids in 2015. In fact, the President’s FY2019 budget request proposes to test and expand Medicare treatment options, including reimbursing for methadone.